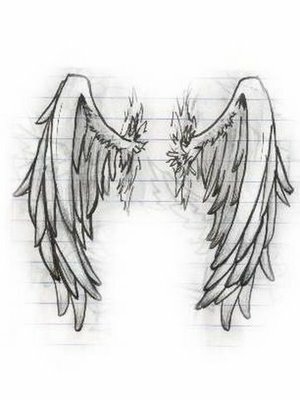 Angel wings have three prominent feathers on each wing. Don’t ask me how I know this, just trust me. Each feather represents an important aspect in life for the angel. To lose a feather would be catastrophic; to keep all six intact is a completeness and wholeness that makes an angel, well, an angel. One feather on the right wing (no, it’s not republican!) is joy. Not happiness but joy. The joy of silence and the joy of another friend. The next feather is hope. Not wishful thinking for a winter cruise but an abiding hope that upends any difficulty or hardship we may be facing. The third right wing feather is peace. A singular word with such a powerful meaning and presence for us. The left wing also has three feathers on it. The first feather is homework. We were forced to do it growing up but now we do it because it needs to be done. The second feather is disposition. Feelings are fleeting but our disposition is a composite of our lives that is as transparent to others as it is elusive to us. The final left wing feather is today. The today is today. It’s that simple; not tomorrow or yesterday but the time that faces us this day. If you noticed you will see that the right wing has qualities given to us by God. The feathers of the left wing are the disciplines that we bring about it our personal lives. When this balance and wholeness is experienced, we are able to gracefully fly through all that life gives us and through all the wild winds that life also brings. Without the right wing “God qualities,” we could not achieve our left wing’s “personal disciplines.” What worth is there in our “left” personal disciplines without the “right” God qualities? If an angel is to make flight and stay up there – balance (and a good back wind) is surely needed. This entry was posted in Angels, Spirituality and tagged Angels, Angels wings. Bookmark the permalink.